The forty days of Lent bring a special opportunity for Christians to practice our faith – we self-examine, we reflect, and this discipline of self-examination combined with reflection brings us to a place where we question our relationship with God. We question our relationship with Jesus Christ. The six weeks of Lent help us to walk-the-walk, talk-the-talk, to explore our faith and our Christian beliefs as we literally walk with Jesus to the cross. 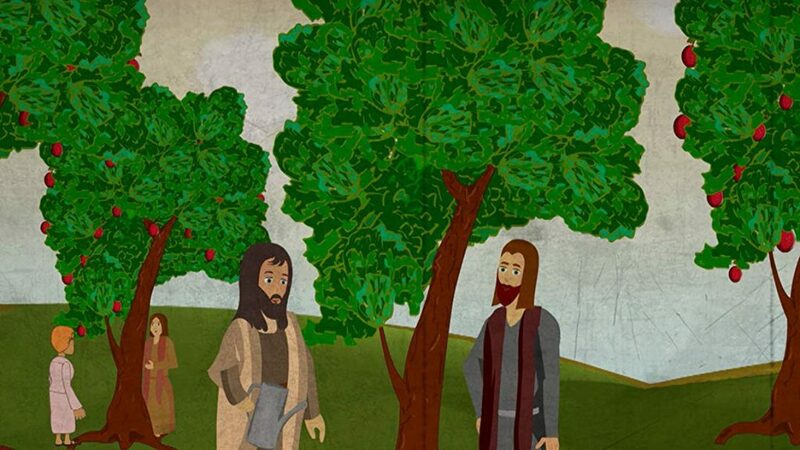 Our Lenten weeks prepare us for a richer and meaningful participation in the Easter story. The Lenten journey traditionally marks weeks of penitence. We are reminded of our sins – we are convicted of our wrongs, our failings, our short-comings, our sins, and our need for cleansing. Our task, with God’s Holy Spirit and the Spirit of Christ, is to discover and acknowledge whatever is shocking or ugly within us. We don’t like to do this. We often will try to ignore this recognition. But we all need to begin Lent with heartfelt and honest repentance. 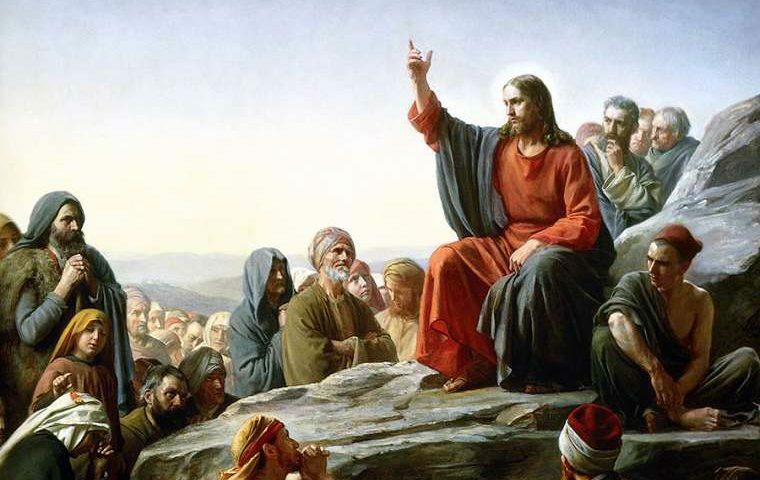 Over these Lenten weeks, I’d like to explore the first seven Beatitudes of Jesus’ Sermon on the Mount, which we have read this morning. Each Lenten Sunday I will take a few of these beatitudes to explore, beginning this morning with the first beatitude: “Blessed are the poor in spirit, for theirs is the kingdom of heaven,” (Matthew 5: 3). Blessings associated with Lenten penitence? Blessings tied in with repentance? Yes, they do go hand-in-hand. We will learn what God’s blessings truly are, and to accept these blessings, we need to be in right relationship with God and Jesus Christ who bestow them freely through God’s Holy Spirit. We all reflect. Our lives are full of action, doing things, making things happen. Our goals drive us. We like to count our achievements. Regular reflection is a daily activity. Reflection is an essential part of penitence, too. We are reminded of our limitations and our need to self-examine. We are reminded of our need for repentance. There is a kind of reflection that is automatic. We all do it. We engage in interior monologues while doing simple tasks, we talk to ourselves, we review past events and we rehearse past behaviour, from our own perspective, and others, with whom we’ve interacted. This automatic reflection within ourselves can be a time when we try to soothe our bruised self-esteem, we tell ourselves how good we are, how badly others have treated us, we get defensive and dig our heels in. A big part of penitence and reflection is learning to be honest with ourselves. Our automatic thoughts influence our feelings and shape our attitudes and our actions. Are we ready to accept the idea that many of our automatic thoughts are obsolete? They are like old tape recordings that keep playing over and over in our minds. We self-justify, we pity ourselves over past hurts and old wounds, and this kind of reflection produces no new behaviour. We are not changed. We just keep rehashing old thoughts and old behaviours. Penitence moves our reflection in a direction which asks: “What did I contribute to the problem? What was it in my attitude, or on my face, or in my tone of voice, or in my words?” Penitence begins with the possibility that part of the problem lies with me, that I played a part, and I may need contrition. Contrition means that we are deeply and humbly sorry. We acknowledge our guilt. We are convicted for our past words or actions. We experience remorse. We are contrite. We are not as innocent or as perfect as we would like to think. Now here is the important part in our Lenten walk. We don’t repent on our own. Yes, we are reminded of our faults, our failings, our need for repentance, we are convicted, but as a Christian people, we are marked with the cross of Christ. This is where penitence starts – at the cross – where Jesus Christ made the sacrifice that binds us to God with the strong bonds of love and forgiveness. Penitence is difficult, but it is work we can do because of the connection God has forged with us through the cross. Christ’s cross produces faith and love and hope in us and makes our penitence possible, because the cross has power beyond ourselves. (repeat with the congregation) The cross helps us keep a perspective on who does the major work here – it is the power of God and of Jesus God’s Son. Penitence and forgiveness and cleansing are possible through the cross. Through reflection we think and examine, through contrition we are convicted and sorry, acknowledging our mistakes, our short-comings, the part we have played in our misunderstandings and hurts, and through the act of penitence which we ask God to direct and reveal, we are presented with the next step: renewal. There is hope – there is renewal. We can change. Change is possible. And we are meant to change. Renewal requires yes, first penance and confession, and then – action. Renewal comes with action. When our attitudes are renewed, we have a change of heart. Our motives, our drive, our direction changes. When our behaviour is renewed, we make amends. We seek to heal. If we have injured someone, confess it to him or her – however awkward or difficult this may be – ask for pardon, you are seeking forgiveness, you are seeking healing, you are enacting renewal. Remember that renewal requires action. Remember that in faith, the power will come from God to help you. Ask God for help, ask the Spirit of Jesus to be present, and do your bit. “Blessed are the poor in spirit, for theirs is the Kingdom of Heaven,” says Jesus in his first Beatitude. This could be paraphrased to read: “Blessed are the humble-minded, the penitent, those sorry in spirit, for they embrace, they uphold, they enact the kingdom of heaven.” In being humble-minded, in being willing to accept our failings, in having a penitent heart and mind, in being able to say sorry, to ask for forgiveness, to be contrite, to set aside our pride and be the poorer in spirit, brings us healing and those around us healing. We are renewed in this process. We are cleansed. We inherit the kingdom of God. We are put into right relationship with our God. We become blessed. In this Lenten season, may we reflect honestly, may we self-examine ourselves without fear, may we begin the hard work of penitence, and may we put our faith in the Spirit of Christ and the power of our God to heal us and restore us. Amen.